A Tasmanian surgeon who was told by the nation’s medical watchdog to stop giving specific nutritional advice is one of several cases that prompted a Senate committee to call for an inquiry into the medical complaints process of the agency. 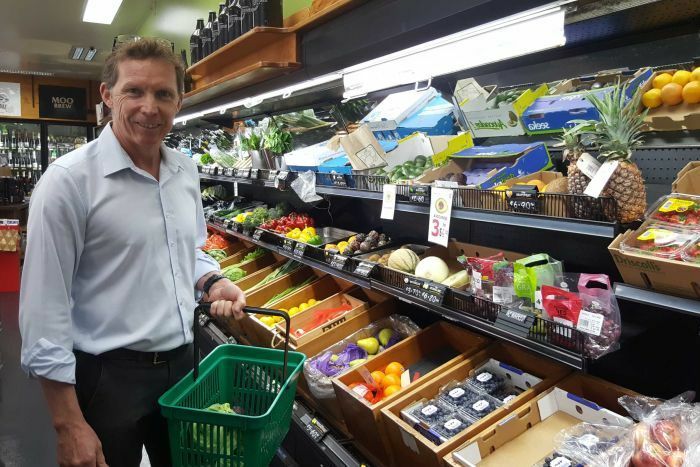 Dr Gary Fettke was reprimanded by medical watchdog AHPRA for suggesting patients reduce their sugar intake and adopt low-carb healthy-fat principles. He said he became passionate about nutrition after improving his own health and realised that amputating limbs of patients with diabetes could be preventable with the right nutrition advice. One of his patients, Julian Robinson, who had to have his leg amputated because of complications from diabetes, said the diet changed his life for the better. “He virtually said to me, ‘You need to change your diet and your lifestyle or you’ll die,'” Mr Robinson said. A recent study by the CSIRO has found a low carbohydrate diet had better outcomes for diabetics. While dieticians do prescribe it, many say it should not be used for everyone. Doctor Fettke started pushing for changes to the food in the Launceston General Hospital where he worked and then criticised the hospital for a lack of action. Two and a half years later the watchdog found he was working outside his scope of practise and was not qualified to give specific nutritional advice, and he was ordered to stop speaking about the low carbohydrate, healthy fat diet. Dr Fettke said the findings could have repercussions for other health professionals. “I’ve been contacted by many doctors. I know the AMA has been contacted by many doctors as well as the medical protection society. The AHPRA investigation also raised concerns about things he was posting on his website and social media accounts, saying his posts online may be misinterpreted by people who might conclude reducing sugar could slow or cure cancer. “Never have I said that it’s an alternative to the treatment of radiotherapy, surgery and chemotherapy. Very specifically we need to be thinking about our nutrition as an adjunctive therapy to the current ones,” he said. The AHPRA investigation also raised concerns that Dr Fettke had pushed patients into the diet, an accusation he denies. AHPRA cannot comment on the case unless Dr Fettke gives them permission, which he won’t because of legal advice he has received. However AHPRA has released a statement reaffirming that it expects medical practitioners to provide appropriate dietary advice to patients. AHPRA itself is now in the spotlight. Prompted by Dr Fettke’s case, a Senate committee has recommended a new inquiry be held into AHPRA, the complaints process and whether changes are needed. Tasmanian Greens senator Peter Whish-Wilson sat on the initial inquiry. “What the committee found was that to a lot of practitioners, the AHPRA process itself, the investigative process, the notifications process is being perceived to be bullying and intimidation as well,” Senator Whish-Wilson said. He said he was concerned Dr Fettke’s investigation was the result of a vexatious complaint. AHPRA said it believes vexatious complaints are a small problem but it is commissioning research into the area. The inquiry has also lead to calls for cautions issued by the watchdog, like the one Dr Fettke received, to be appealable. At the moment the only option is a Supreme Court challenge over the process, something Dr Fettke is considering. “The process is really the thing that’s up for question at this point in time. Not just for me, but for multiple practitioners in the health system. It goes on and on and on,” Dr Fettke said. “You are guilty until proven otherwise.